I have just stumbled across this page on the internet. My husband Russell is your cousin. 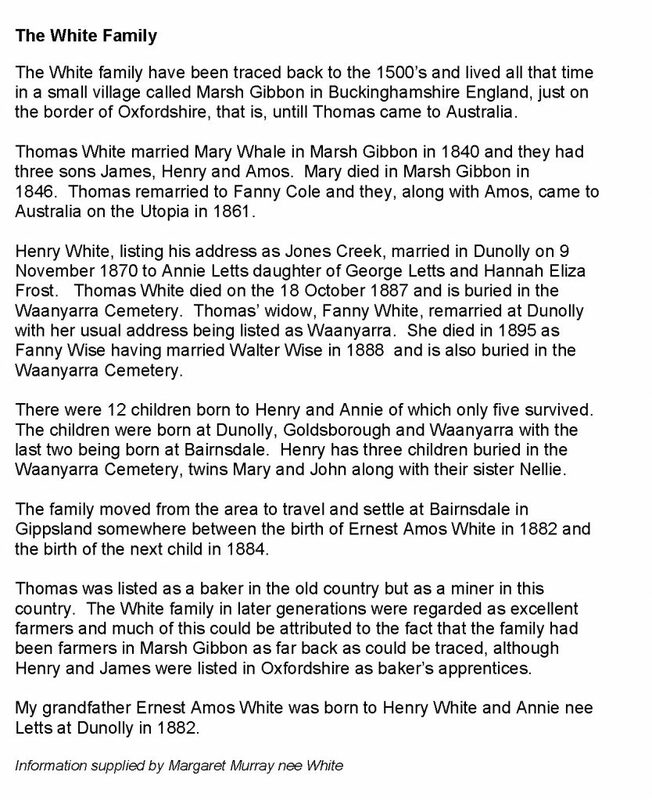 His grandfather was Ernest Amos White and his father was Peter White. Pearl is his mother and will be 92 this year. My Morrissey ancestors ( Patrick and Mary from Irland) lived in Dunolly from 1860 to1906,had 8 children born there between 1861 and 1877. Mary Morrissey ne Tobin died there in 1889 and buried at Camding ? Cemetery,Dunolly. Would welcome any info on that family.